Logistics prices rose to $1.33 trillion and made up 8.5 percent of U.S. gross domestic product in 2012, according to a new report from the Council of Supply Chain Management Professionals. Transportation rates increased only 3 percent last year as a result of inconsistent shipment volumes. The trucking industry is facing new regulations that will impact productivity. The U.S. Department of Transportation's new Federal Motor Carrier Safety Administration regulations will go into effect on July 1, 2013, and it will enforce hours of service. As productivity slows, capacity will contract. Competitive pressure from the trucking industry kept railroad logistics costs low. 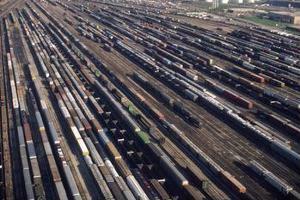 Rail freight sourcing traffic declined 3.1 percent. The inland waterway network was frequently interrupted in 2012, with weather patterns affecting logistics. Providers experienced difficulties due to severe droughts that reduced river levels, which impacted navigation and led to temporary closures for emergency dredging. Part of the Mississippi River was closed in August 2012, which caused delays and lines of up to 100 tows. Each delayed tow lost $10,000 per day. The low river levels also resulted in lighter loading, so thousands of tons of products could not be moved. Agricultural shippers experienced river logistics rate increases of nearly 25 percent.